Members at Lely Resort Golf and Country Club are able to revel in championship golf with easy access to tee times and all of the amazing five star amenities that are offered. The club offers so many amenities and activities to enjoy and everything is kept in pristine condition. The staff work hard to ensure each member is enjoying his/her membership to its fullest. 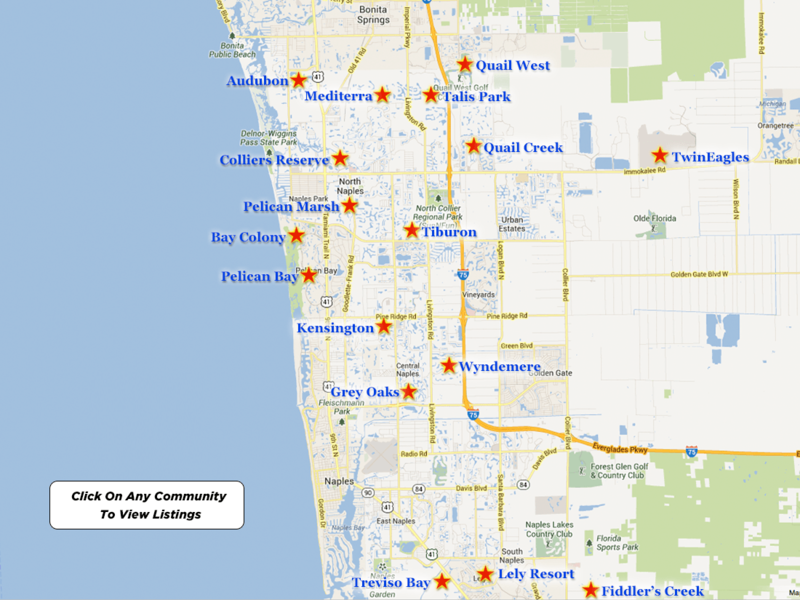 Lely Resort is known for superb amenities in a pristine setting. The club provides a public clubhouse and a private clubhouse. This private clubhouse is called The Classics Clubhouse and it is full of luxury and no detail is spared. It offers stunning panoramic views, through the over sized windows, of the Classics championship course. Members also get to enjoy access to the tennis club. The tennis club at Lely Resort homes for sale features two HarTru courts and USPTA certified instructors. The instructors teach group and individual lessons. They also organize tournaments, competitions and social play for juniors and adults. It is a great place to play tennis, socialize and get a good workout in. There is also a state of the art fitness center with personal trainers, cardio equipment, weights and fitness classes. It is fun to workout with an accountability partner and both of you can enjoy yoga, aerobics or a variety of different exercise classes. Another perk of being a member of Lely Resort Golf and Country Club is the opportunity to participate in a host of activities and events while meeting and socializing with other members and neighbors. These clubs, events and social activities cater to members of all ages. Enjoy as much or as little of a busy social calendar as you wish. Take part in card games, book clubs and enjoy relaxing in the newly renovated Member’s lounge. There are massage therapists available to the members in the clubhouse upon request. Dinners, dances, luncheons and tournament play are some fun ways to get involved. A popular activity is participating in Mama Mia which is a family style Italian night that happens throughout the year. The private club house is center stage and is home to Lely Resort’s dining venues. The Classics Main Dining Room features floor to ceiling windows with sweeping views of The Classics Golf Course and the beautiful water feature. It is an upscale establishment with gourmet food and a full service bar. The Classics Private Dining Room also features amazing views, floor to ceiling windows and can accommodate up to thirty six guests comfortably. It is ideal for a more intimate setting in an elegant space. It overlooks the eighteenth hole of The Classics Golf course. Both dining venues are serviced by a talented culinary team who use only the best ingredients. Lely Resort Golf and Country Clubhosts one of a kind events and weddings of all sizes. An intimate dinner can be held here, as well as a large corporate meeting. The Lely Resort planners take your personal style into consideration and offer unparalleled service in a beautiful and serene setting. Wedding ceremonies, vow renewals, and other events can be held hereeither indoors or outdoorsat one ofthe fabulous venues. The clubhouse is a picturesque locale for larger wedding receptions. Smaller receptions, bridal parties, birthday dinners and anniversary celebrations can be held in the intimate private dining room. Special events can also be enjoyed outside with views of the golf courses in the background. Bachelor and bachelorette party tournaments can be held on the Flamingo Island and Mustang Courses.Customized menus can be provided and great attention to detail is taken for every event no matter how big or small.